The NEW HOLLAND T8.390 tractor is modeled after its original fully made of metal. The scale is 1:16 and the NEW HOLLAND T8.390 tractor from tronico is screwed together from 1070 single parts. It is fully functional. 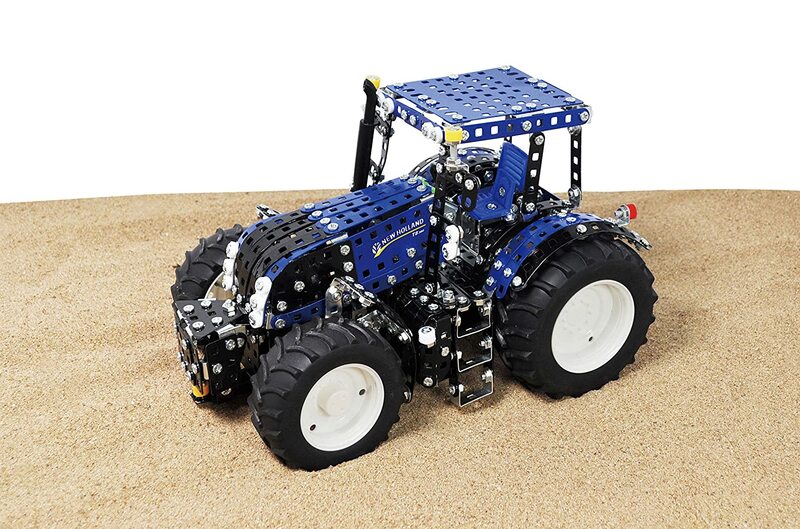 The soft plastic profile tires are equipped with free-wheel and the tractor has a steering function. The weight of the tractor is 1.8 kg and thus provides a very detailed design. All parts are screwed together with nuts and locked individually. The material of tronico is made from high quality metal and plastic. It comes supplied with a NEW HOLLAND T8.390 sticker which after completing the assembled model makes it a true original NEW HOLLAND T8.390 tractor model made of metal. In the cardboard box next to the material you will find tools for assembly, assembly instructions and a colorful picture with control side views of the ready assembled product. 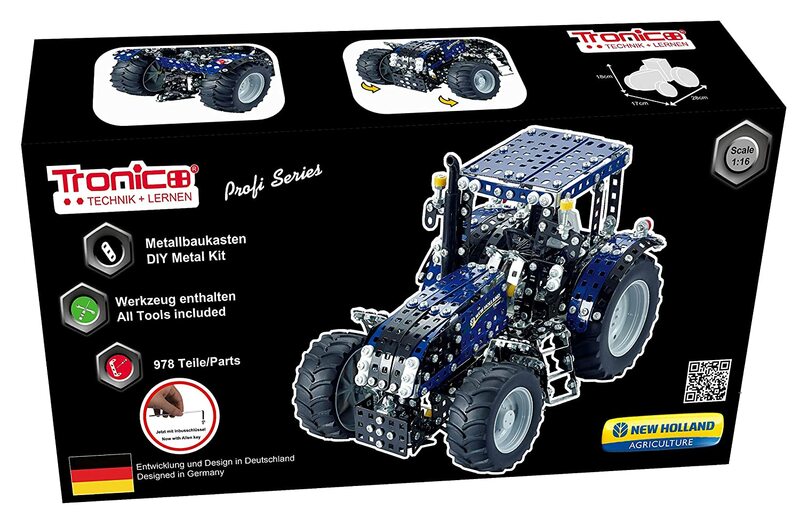 We at tronico highly recommend the age of 12plus or at least with experience in metal kits.